Remove the pain and error-prone planning in your weightlifting routine. 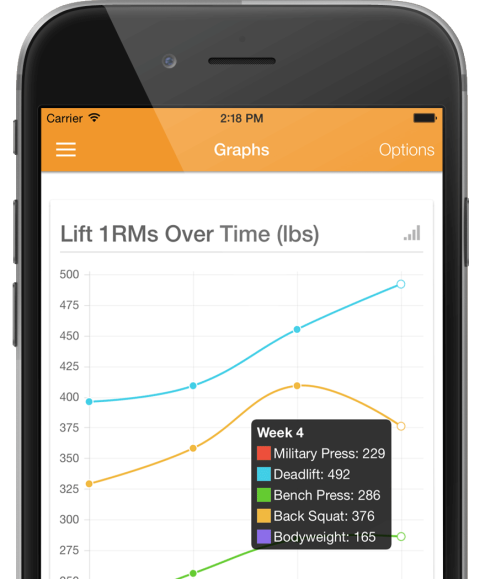 This is the easiest way to track and automatically calculate your Wendler 5/3/1 powerlifting routine. Simply input your one rep maxes once and your entire Wendler 5/3/1 routine will be calculated. Lose the spreadsheets! Get a simple easy-to-follow plan that builds your endurance to run a 5K. Over the next 8 weeks your body’s strength will gradually increase over time with the ‘interval training’ method. 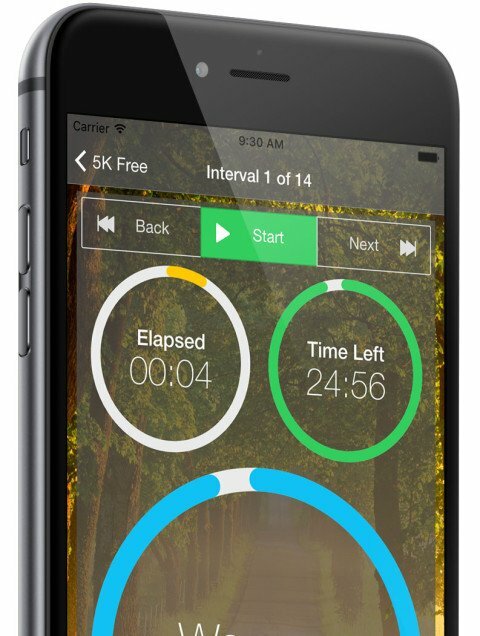 Start with 1 minute jogging intervals in-between 1.5 minute walks. As you complete workouts your body will be strengthened and your runs will slowly become more challenging. Breakthrough your performance barriers and set new personal records. Visualize your progress with beautiful graphs. 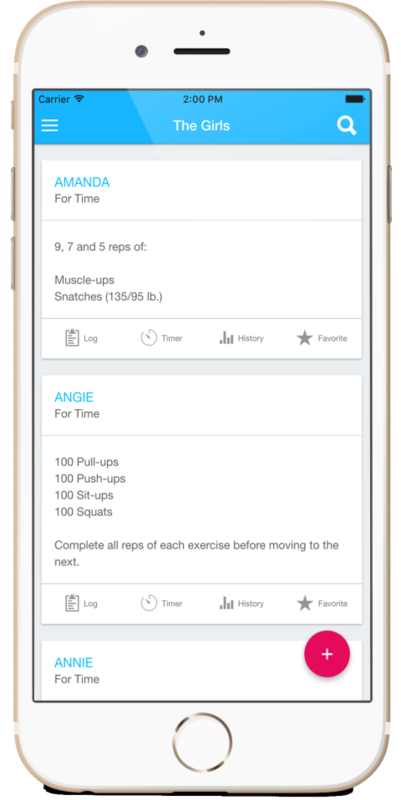 Track your daily WODs by adding them to your WOD Calendar. See how often you workout and what you do. Tons of options to customize your workout. Never lose your work again! 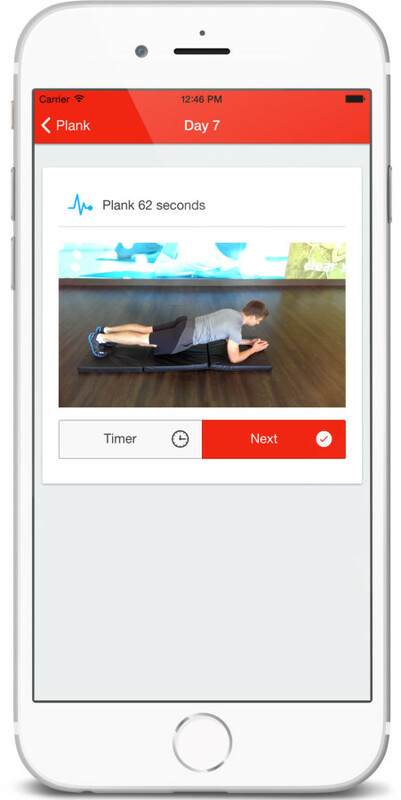 Your workouts are automatically saved in the cloud. Tons of timer types are included (Stopwatch, AMRAP, Tabata, & EMOM). 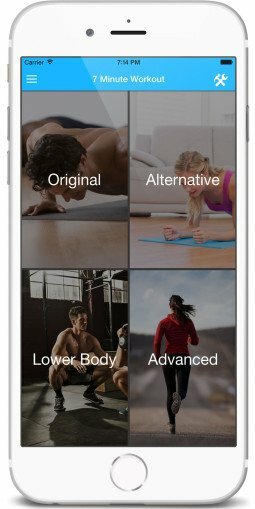 A complete WOD database with all the Heros, Girls, Open WODs, and Benchmark WODs. 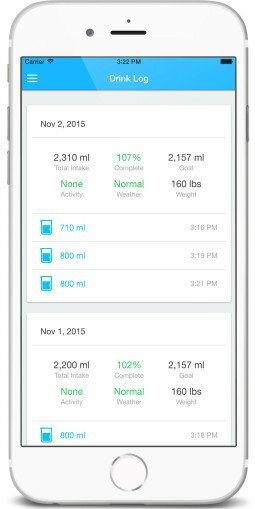 Track and graph a complete history of all of your personal records (PRs). "5K Run really helped keep me on track with my goals. Love it! Friend recommended, this app did not disappoint. I can't wait to run my first 5K. Let's do this!" 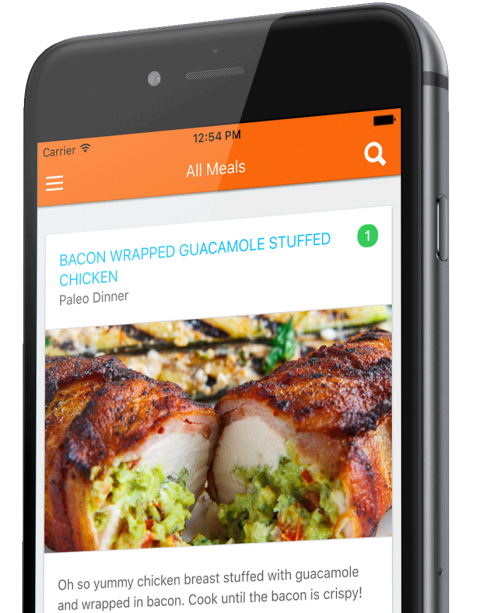 "Brilliant app. Without this app I don't think I'd be able to calculate Wendler's 5/3/1 correctly. 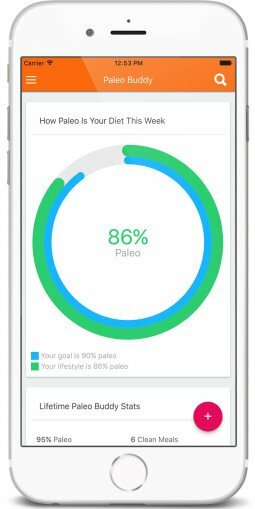 It breaks down the percentages for you, even adjusts the work you'll be doing for other weeks based on your AMRAP sets." "Can't believe I found this. 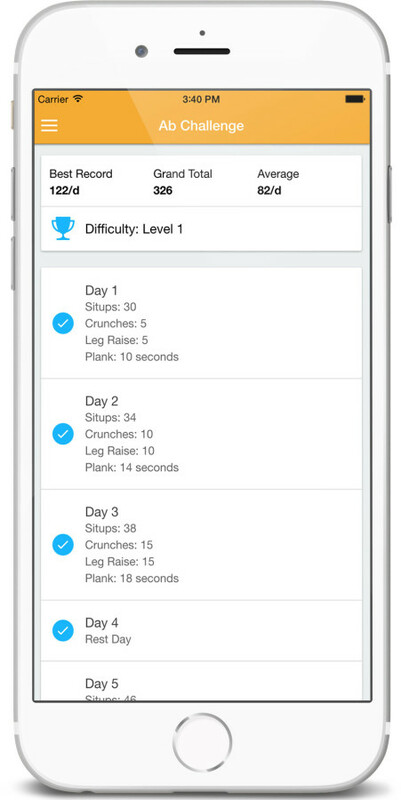 Been using all sorts of apps for logging workouts, but this one beats them all hands down." Would you like to hear about new releases? Sign up for news on exciting new app releases and updates.